Dr. John Thorp is a board-certified obstetrician-gynecologist, with a sub-specialty certificate in maternal-fetal medicine. 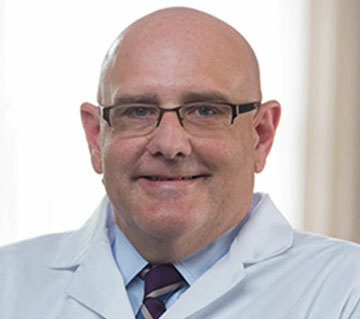 He is the Hugh McAllister Distinguished Professor, Division Director of General Obstetrics and Gynecology, and Vice Chair of Research in the Department of Obstetrics and Gynecology at the University of North Carolina at Chapel Hill. He also is a Fellow ad eundem at the Royal College of Obstetricians and Gynaecologists in London, UK. He is the Medical Director of Reply Ob/Gyn & Fertility. Dr. Thorp’s interests include preterm birth, cervical insufficiency, clinical trials, nutrition in pregnancy, health disparities, outreach education, fertility awareness, and alcohol and drug abuse. He founded and continues to medically direct the Horizons Perinatal Substance Abuse Program, a state-of-the art UNC program offering prenatal care, day care, intensive outpatient treatment, and residential treatment to women and children. He is the UNC principal investigator in the Maternal-Fetal Medicine Units Network at NIH, and participated in the groundbreaking discoveries that progestins could prevent preterm birth and magnesium is neuro protective in infants delivered early. He helped found the UNC Global Women’s Health Division and establish the first Ob/Gyn residency program in the African nation of Malawi. He is a senior fellow of both the Carolina Population Center and the Sheps Center for Health Services Research, and a tenured professor in Maternal and Child Health at the Gillings School of Global Public Health at UNC. Dr. Thorp originally is from Rocky Mount, North Carolina. He attended The University of North Carolina at Chapel Hill and East Carolina University Medical School. He completed his OB/GYN residency and fellowship training at the University of North Carolina in Chapel Hill. He and his wife, Joe Carol, have four children and three grandchildren. They live with their labradoodle, Wollen, in Chapel Hill.